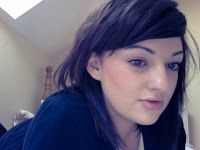 excuse the messy hair but I'm wearing Rimmel wake me up foundation, I actually love it. I had noticed over the past few months that after spending too long reading on my ipad or looking at the tv screen for a while that my eyes started to ache and I was getting regular headaches. My boyfriend suggested I go get my eyes tested as I hadn't had an eye test for about 5 years! The lovely people at specsavers confirmed that I had one dodgy eye and this was probably the cause of my eye strain and headaches. cue new glasses. Sam thinks they are, quote, "silly". But I like them. 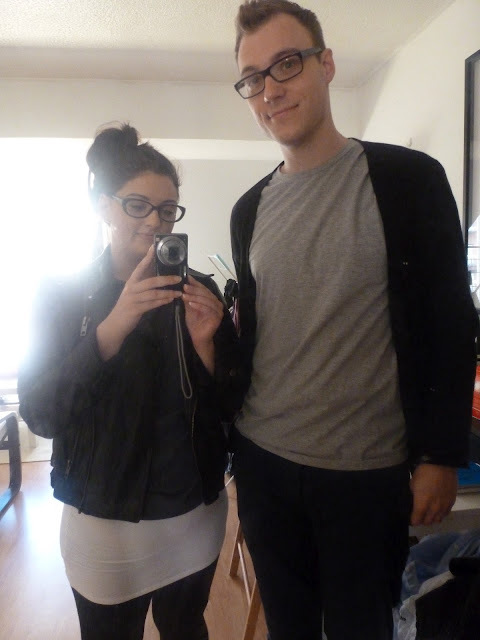 on the down side we now look like some matchy matchy glasses wearing couple! I love these glasses,there lovely,can't wait til I next get some new ones.